Historically, mining activities were primarily regulated in terms of an environmental management programme (EMPR) approved by the Minister of Mineral Resources under the Mineral and Petroleum Resources Development Act, 2002 (MPRDA). Although separate authorisation in terms of the National Environmental Management Act, 1998 (NEMA) was also required to undertake activities on a mine site that were ancillary to mining (such as the clearance of vegetation and the storage of dangerous goods), the perception of many in the mining industry was that a separate environmental authorisation (EA) under NEMA was not required to be obtained. This debate was put to bed with the implementation of the One Environmental System (OES) on 8 December 2014, which resulted in a paradigm shift in the regulation of environmental matters from the MPRDA to NEMA. This shift involved the promulgation of a complex set of laws which, among other things, included the coming into force of mining specific listed activities under NEMA's listing notices and the deletion of the provisions under the MPRDA which regulated EMPrs. The result is that mining right holders are now required to obtain an EA under NEMA instead of an EMPR under the MPRDA in order to commence with mining operations. A key feature of the OES is that the Minister of Mineral Resources is the competent authority under NEMA for the issuing of EAs to authorise listed activities that are "directly related to- (a) prospecting or exploration of a mineral or petroleum resource; or (b) extraction and primary processing of a mineral or petroleum resource". The assignment of this power has been seen as akin to putting the proverbial fox in charge of the hen-house. While this may be true in relation to, among other things, the "primary processing" of a mineral resource, it can be argued that the Minister of Environmental Affairs has the power under the OES to issue EA's for activities on a mine site which are regarded as "secondary processing" and which are not "directly related" to the extraction and primary processing of a mineral resource. This argument is supported by the amendments to NEMA's listing notices in April this year, which excluded secondary processing from the mining specific activities under NEMA's listing notices. Although no definition of the term "directly related to" has been included under NEMA, some guidance has been provided in relation to the meaning of primary and secondary processing of a mineral resource. 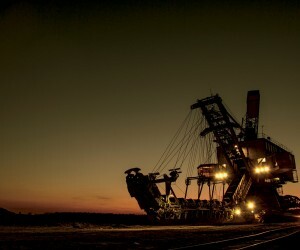 According to NEMA, "primary processing" includes "winning, extraction, classifying, concentrating, crushing, screening or washing" of a mineral or petroleum resource, and "secondary processing" includes "the smelting, beneficiation, reduction, refining, calcining or gasification" of a mineral resource. The delineation of mandates under NEMA between the Environmental and Mining Ministries based on, among other things, whether activities are "directly related to" the extraction and primary processing of a mineral resource, presents a number of commercial opportunities for mining companies. Firstly, mines are able to dispose of secondary processing assets which are not directly related to the extraction and primary processing of the mineral resource to third parties, without impacting their primary processing activities. 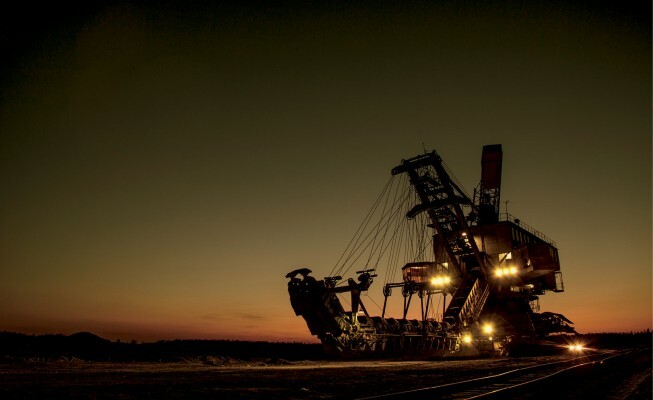 This is particularly advantageous for older mines who want to downscale their operations and focus on their core assets. Secondly, the delineation of mandates under the OES opens up the possibility for new activities that are not directly related to the extraction or primary processing of a mineral resource to be undertaken on a mine site and regulated independently by the Minister of Environmental Affairs. However, given that no definition of "directly related to" has been provided under NEMA, there is no clear cut guide to determine which Ministry should be competent to authorise these kinds of activities. Our view is that this determination can only be made by analysing the factual circumstances of each case, and in particular: the purpose of the activity in question and whether it is at all related to the extraction and primary processing of a mineral resource; whether the activity will be undertaken by a third party or the holder of the mining right; and whether the activity will be undertaken for the sole purpose or benefit of the mine. Lastly, it is arguable that the requirement for financial provisioning under NEMA is only relevant to activities that are directly related to the extraction and primary processing of a mineral resource. This means that mines do not have to put up financial provisioning for facilities or activities which are not directly related to the extraction or primary processing of a mineral resource, even thoughany such facility or activity is developed or undertaken on the mine site. This also means that mines that were in existence before the OES took effect, and which are undertaking activities that are not directly related to the extraction and primary processing of a mineral resource, could motivate to reduce the quantum of their financial provisioning. While it is clear that the OES presents commercial opportunities for mining companies, exactly how open the Minister of Mineral Resources and the Minister of Environmental Affairs will be to enable these opportunities to be realised remains to be seen.